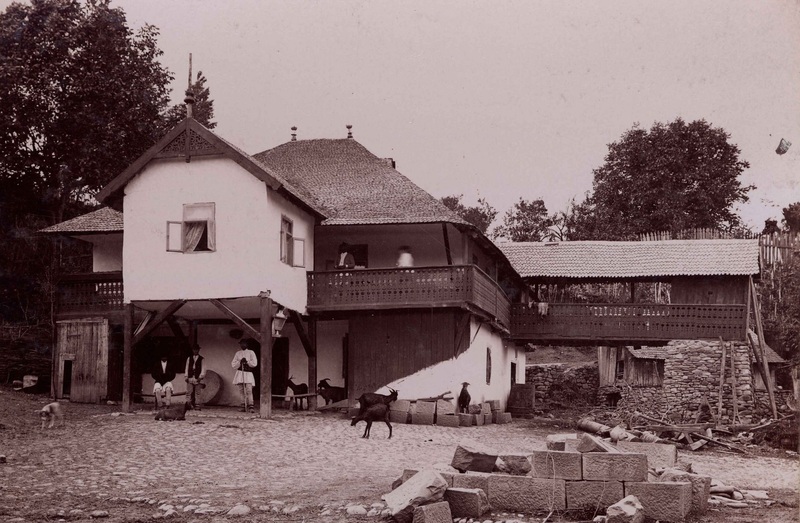 Upon arriving in her new home country in 1869, the young wife of Prince Carl of Romania noticed in her writings: “Every Roumanian makes a point of living in his own house, if it be but of mud, with no floor, with the four walls falling apart, and a thatched roof. 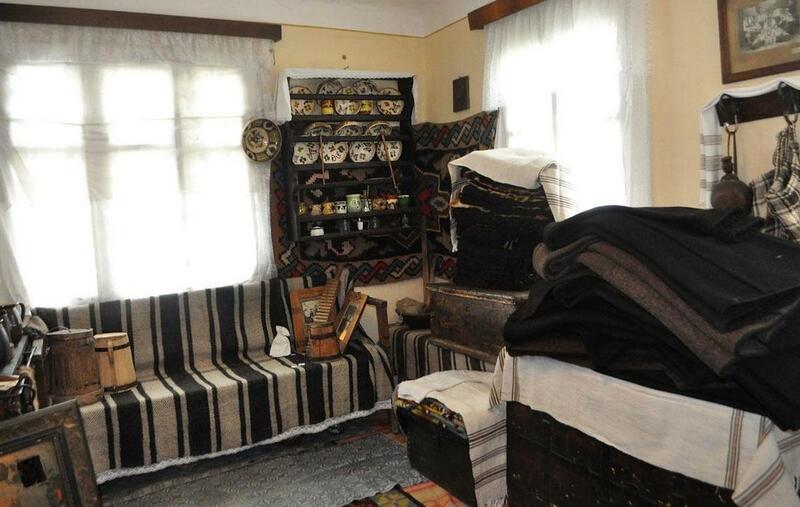 Ask the humblest petitioner where she lives, and she will reply: In casele mele (In my own houses!)”. 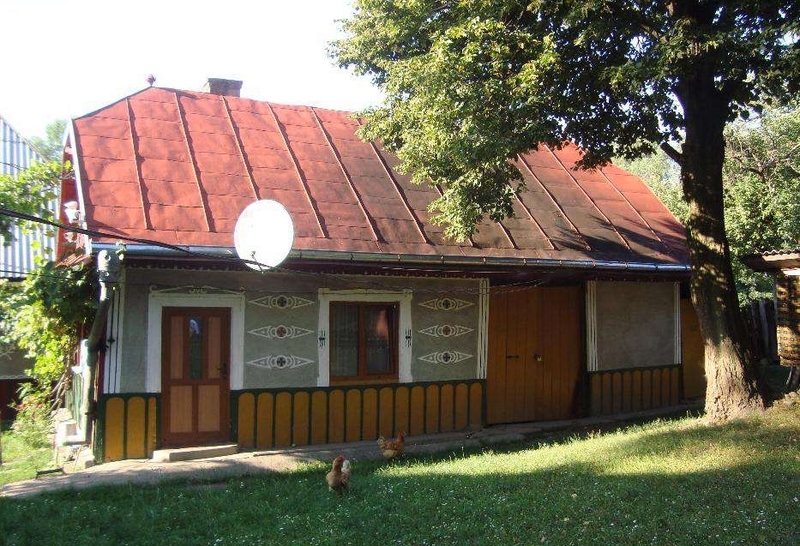 – single-leveled house; sheds are usually built separately. 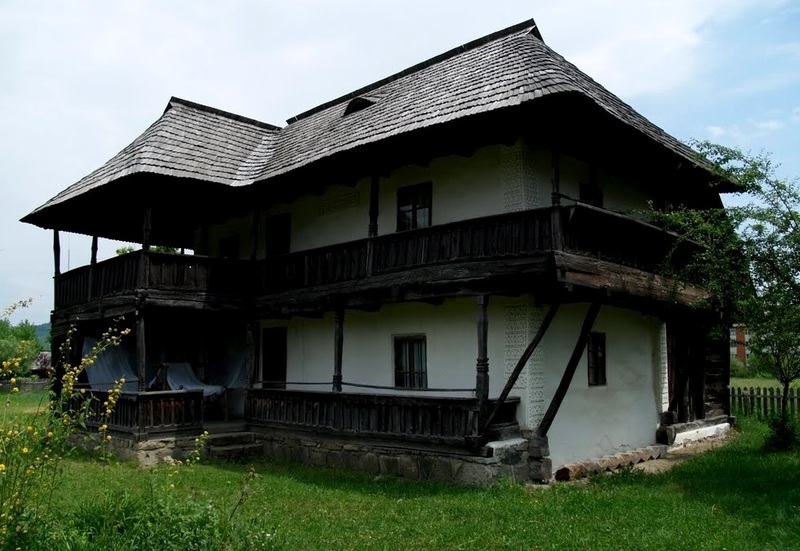 – 1-2 storey house. 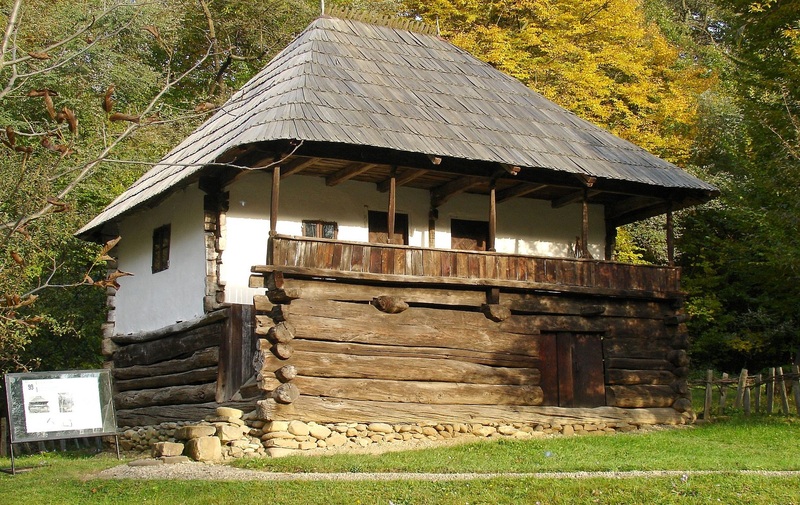 The ground floor (or cellar in the case of 1-story house) is used for food storage; if sheds are built separately, the ground floor may be residential as well. 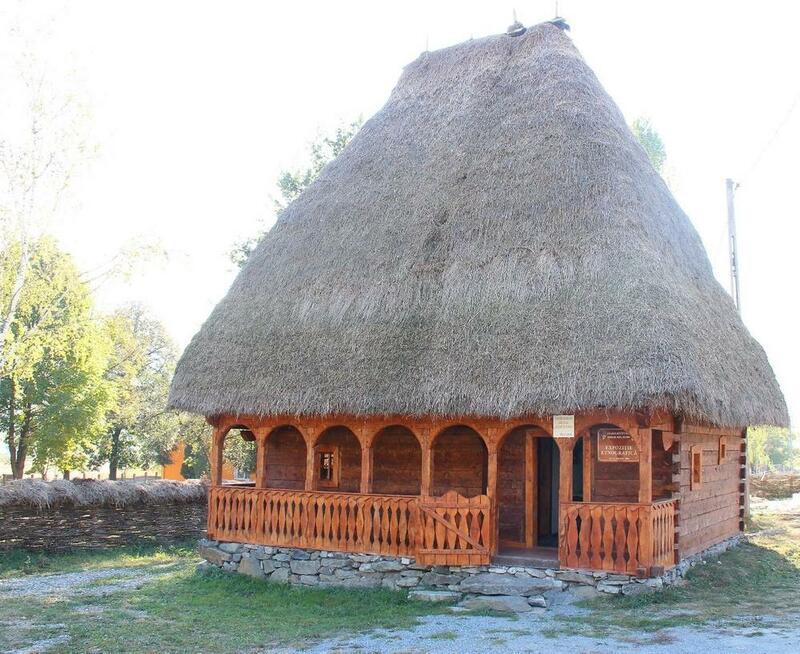 – dugout house (bordei) – though rarely used in modern times, it represents the oldest type of dwelling known to mankind. 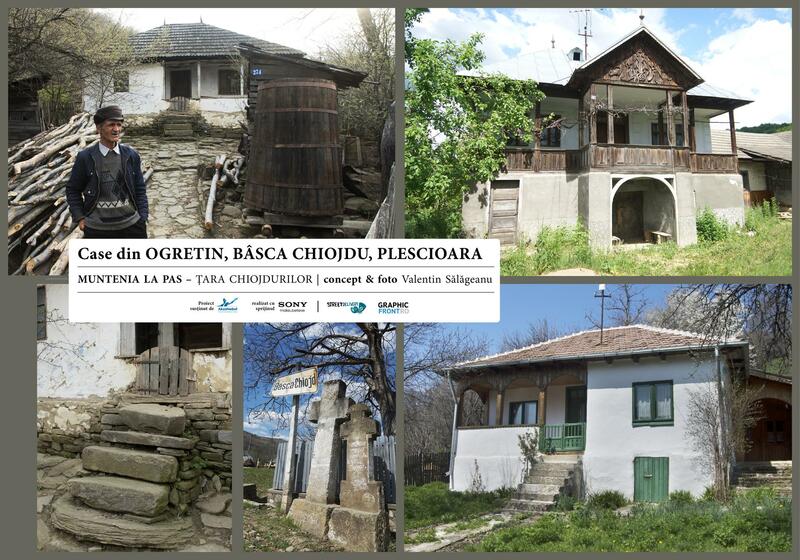 Found in the lower plains (especially Dobrogea), it was inherited from Neolithic cultures such as Cucuteni. 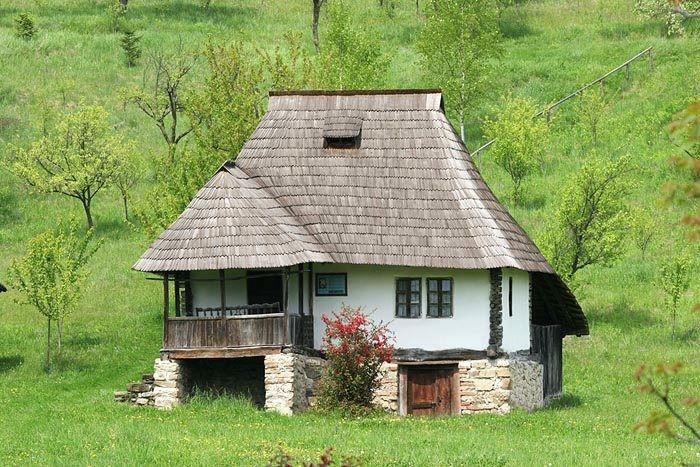 Underground houses maintain constant temperatures, therefore they are cool in summer and warm in winter. 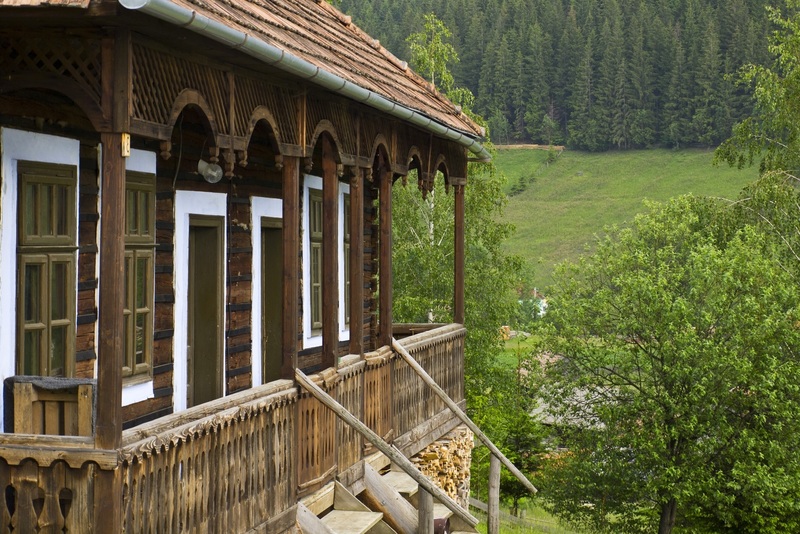 The porch (veranda) is an ever-present element in Romanian rural houses. 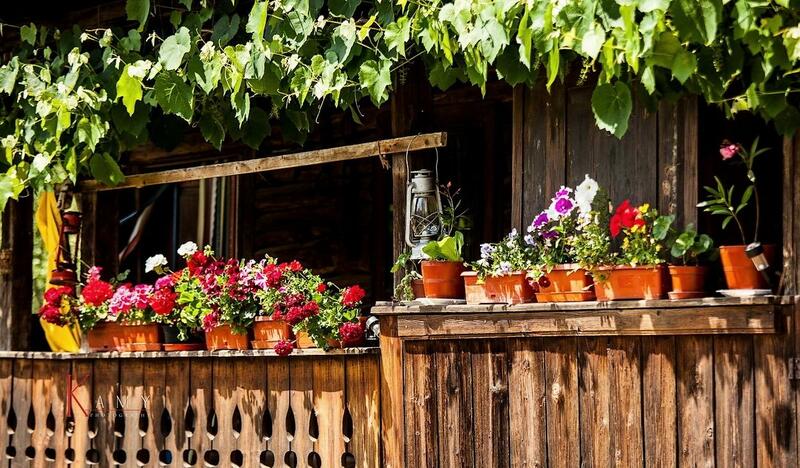 It is often times decorated with flowers, or covered by vineyard leaves. 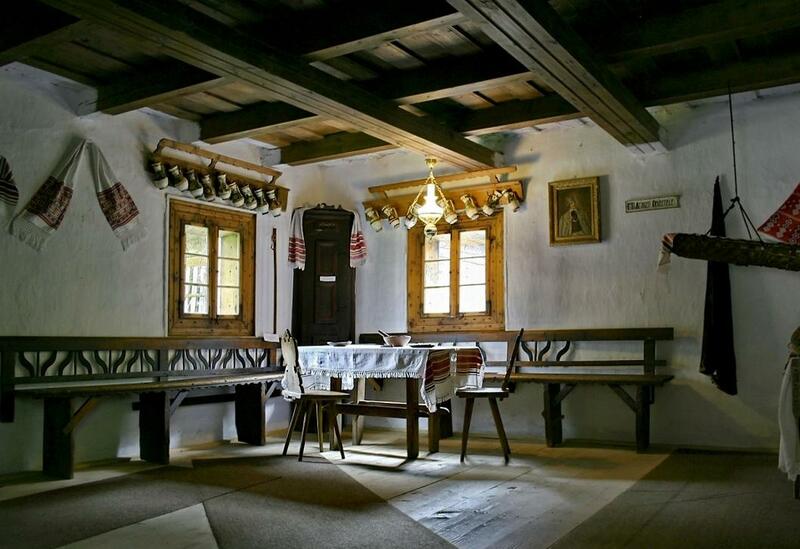 The rooms have low ceilings with beams, which helps mantain heat. 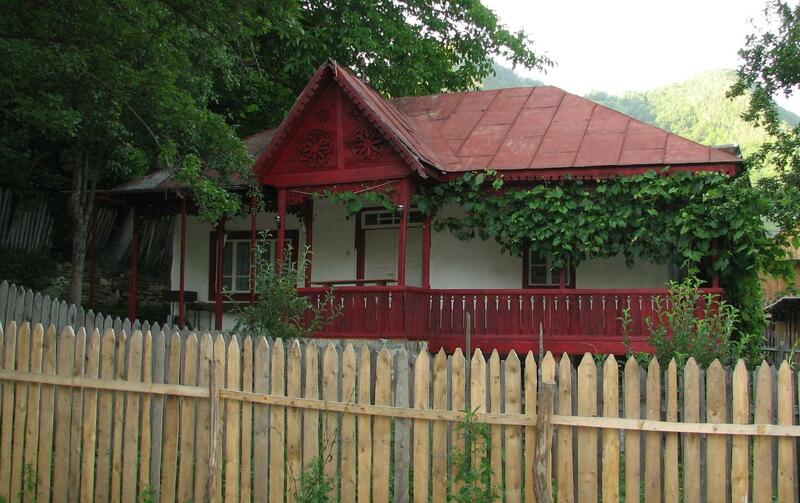 The houses are always surrounded by flower gardens, homegrown fruits, vegetables, vineyards etc. 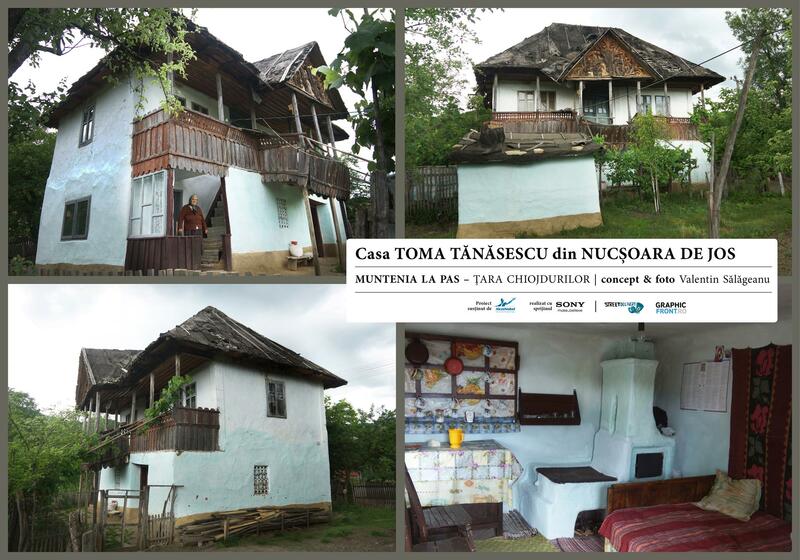 Genuine rural houses (as opposed to new houses built in “traditional manner”) are today refereed to as casa batraneasca in Romanian. 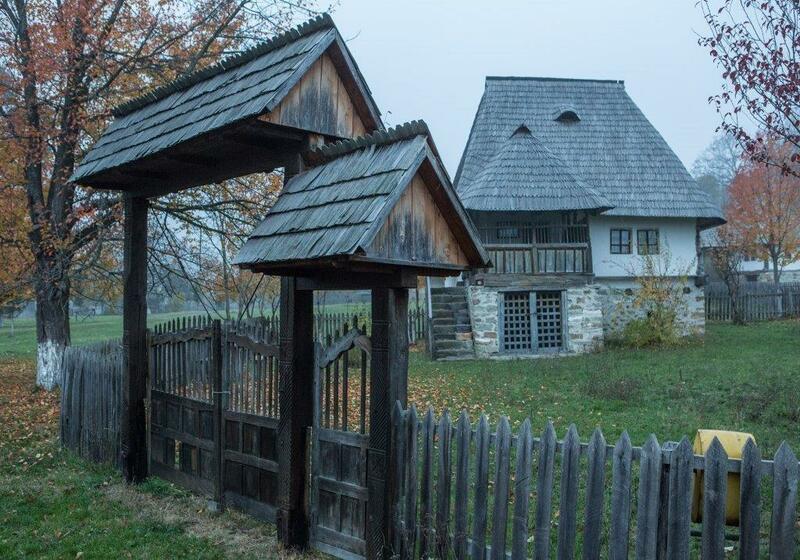 Wooden gates are decorated with astronomical motifs that date from the pre-Christian era. 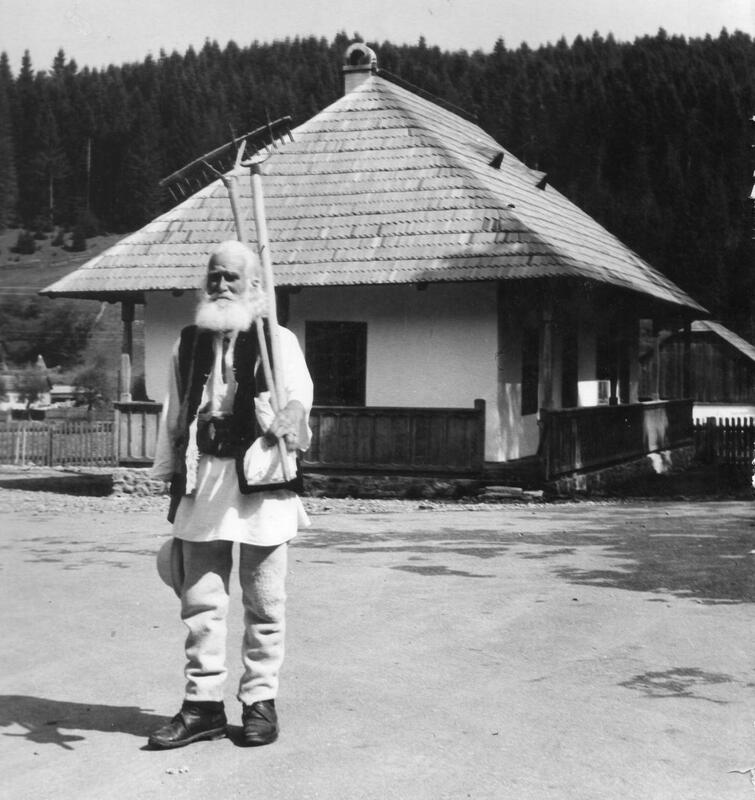 The solar sign is a legacy of the Cult of the Sun. 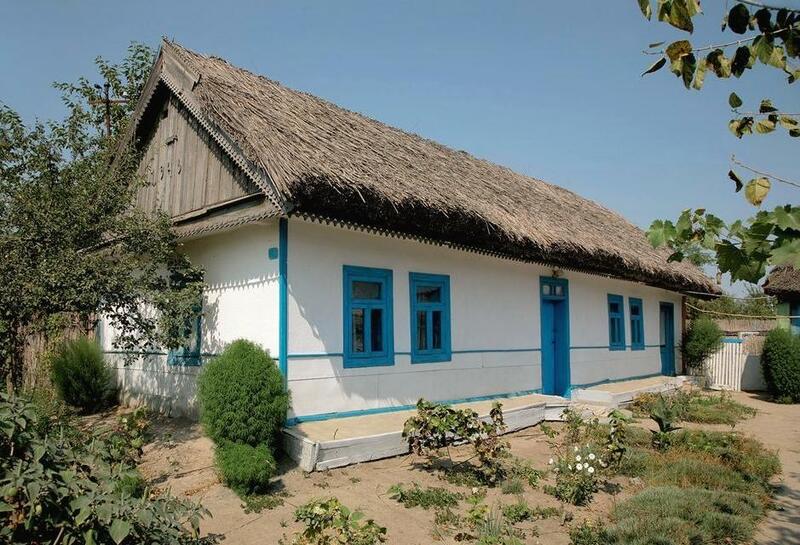 The folk motifs are believed to protect the house, bring fertility and attract positive energy. 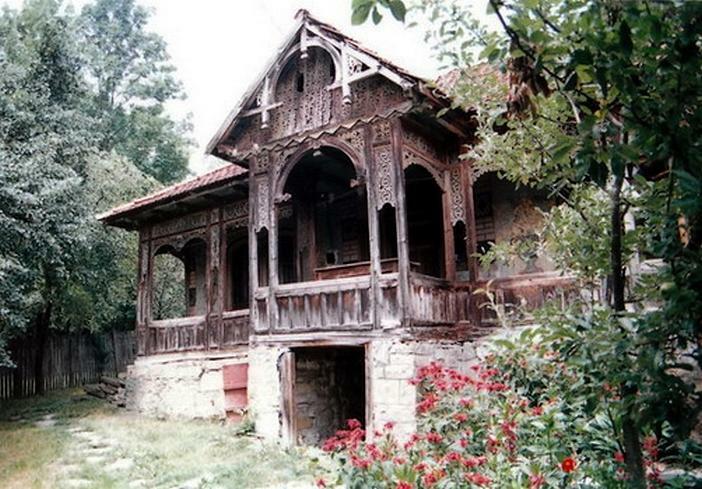 On top of the gate the inscription “Dumnezeu este iubire” (God is love). 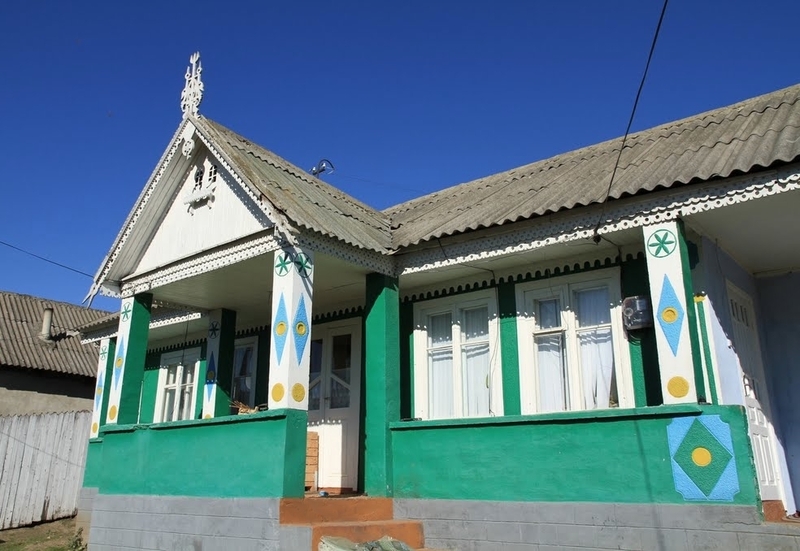 The sun cross motif is present. 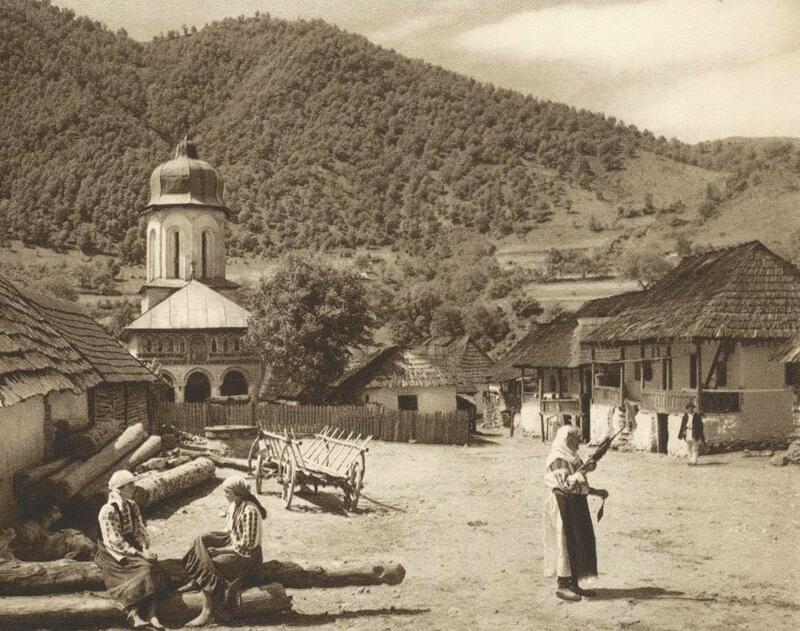 Wood, plentiful resource in Romania, was always used in construction. 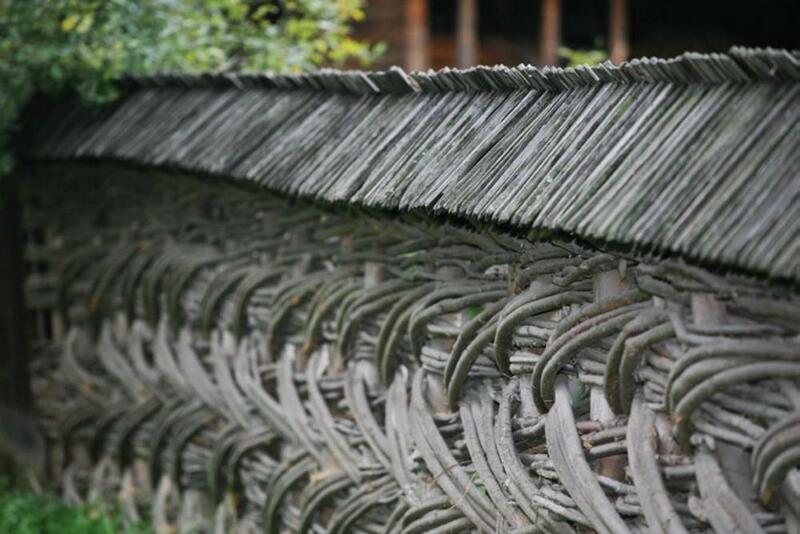 Woven fences around the house were common. 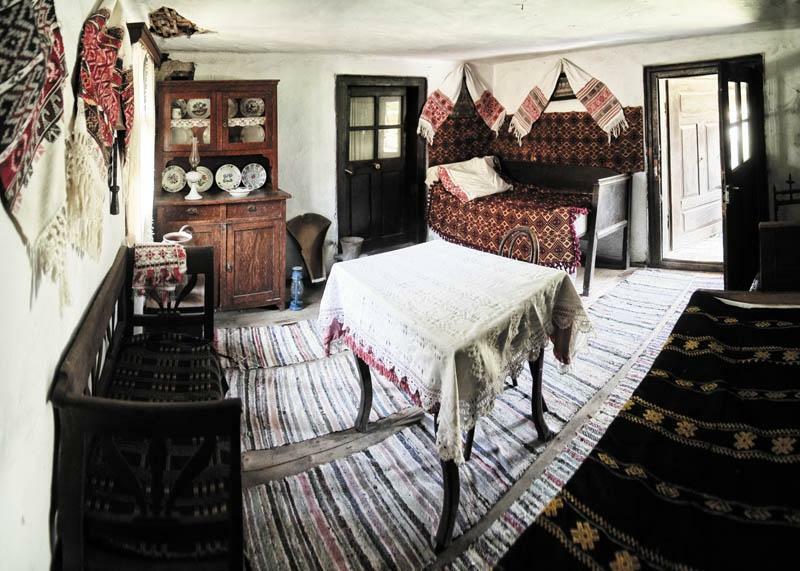 The Romanian house was a self-sufficient unit where everything was produced by the family or by local craftsmen – from the house, to the carpets, the textiles and the furniture. 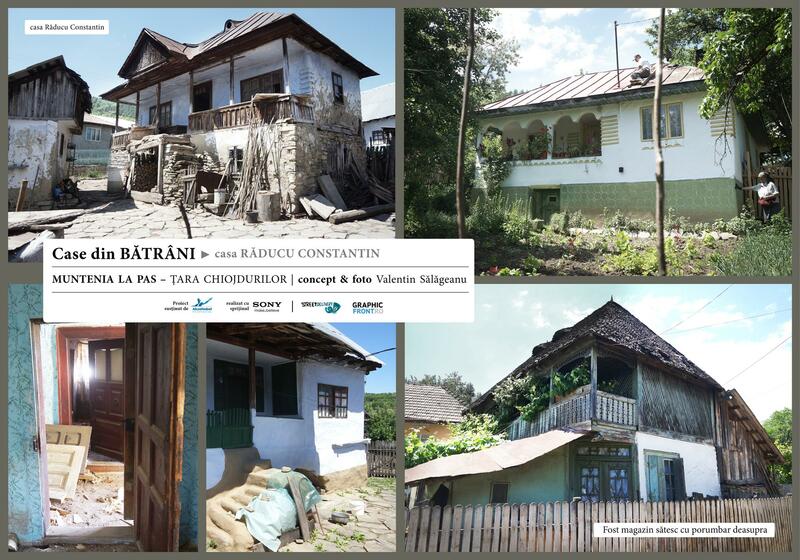 Black Sea coastline house – traditional houses found on the coastline were demolished in late 1960’s to make room for tourist resorts. 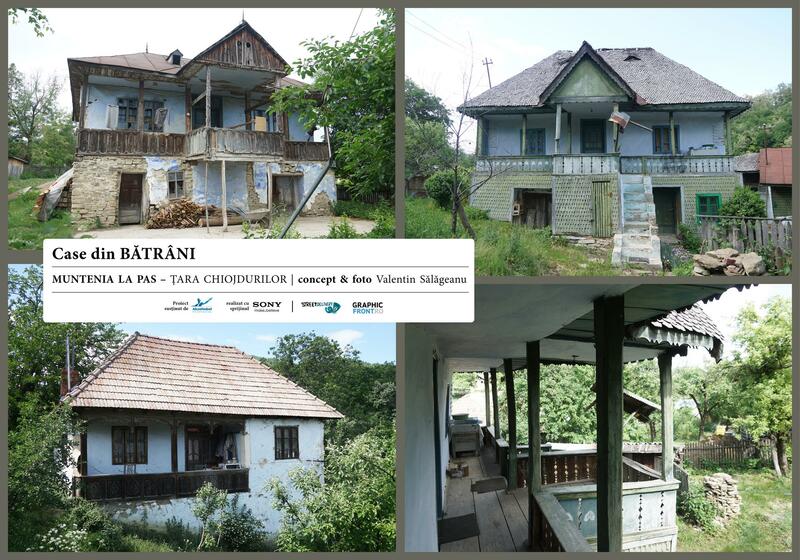 House in Danube Delta, Dobrogea. 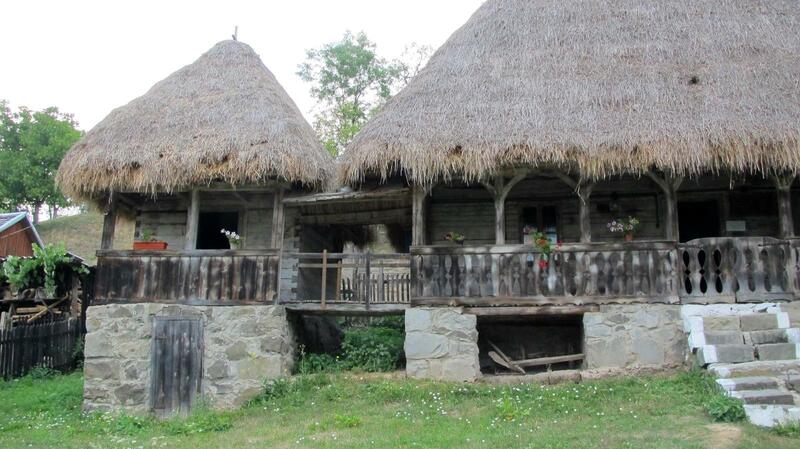 Roofs are made of local reed, and colors are light like Mediterranean houses. 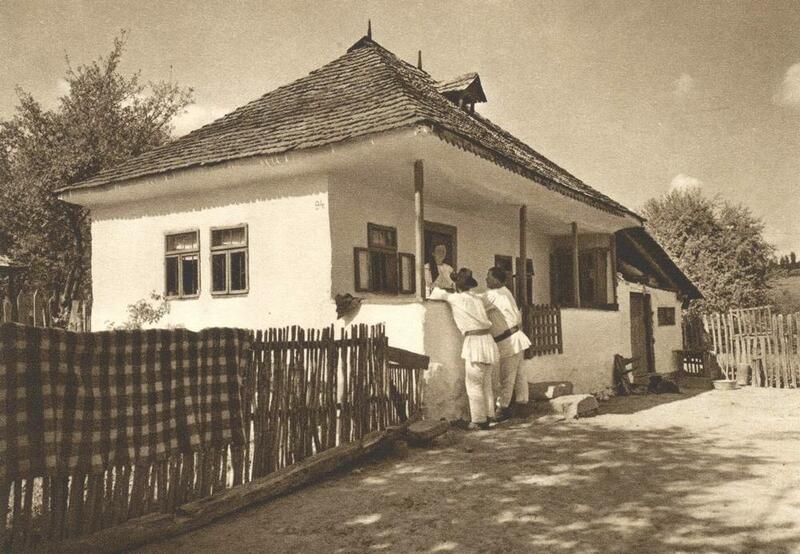 “Casa lui Closca” (Closca’s memorial house) – Romanian peasant who fought for the civil rights of Romanians in Transylvania. 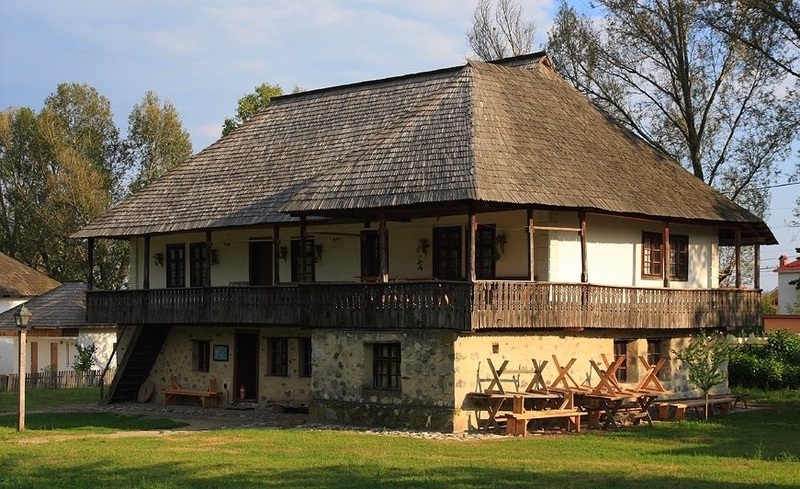 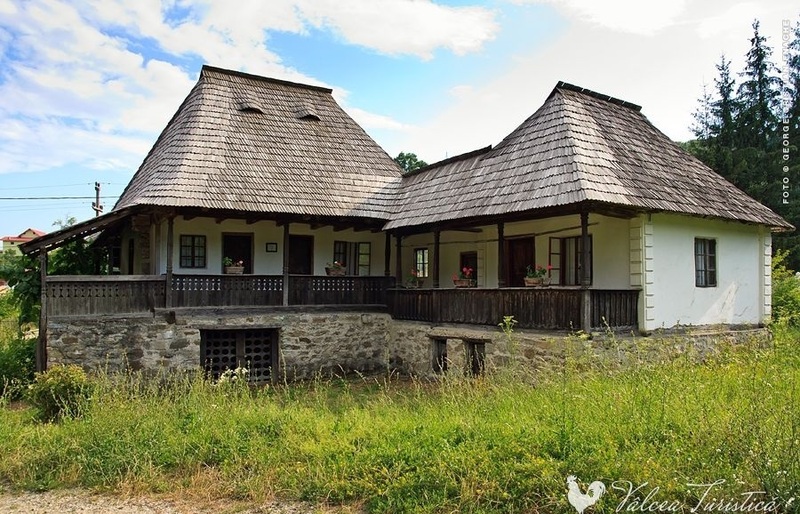 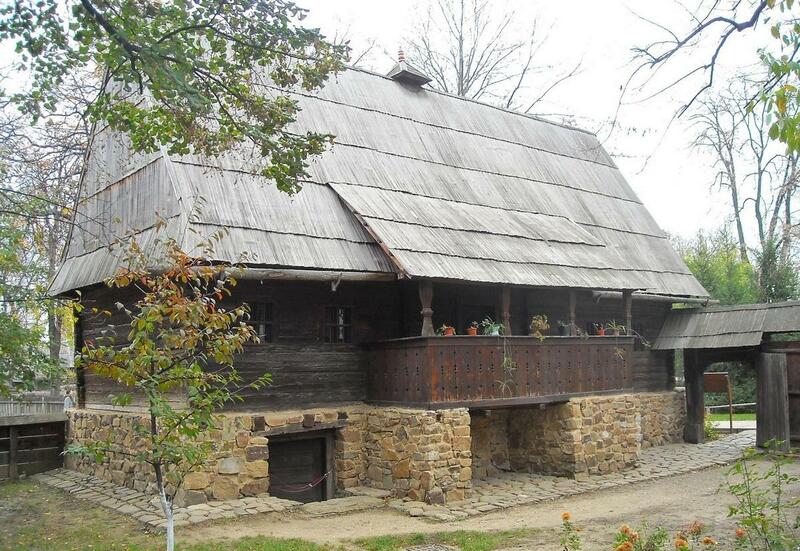 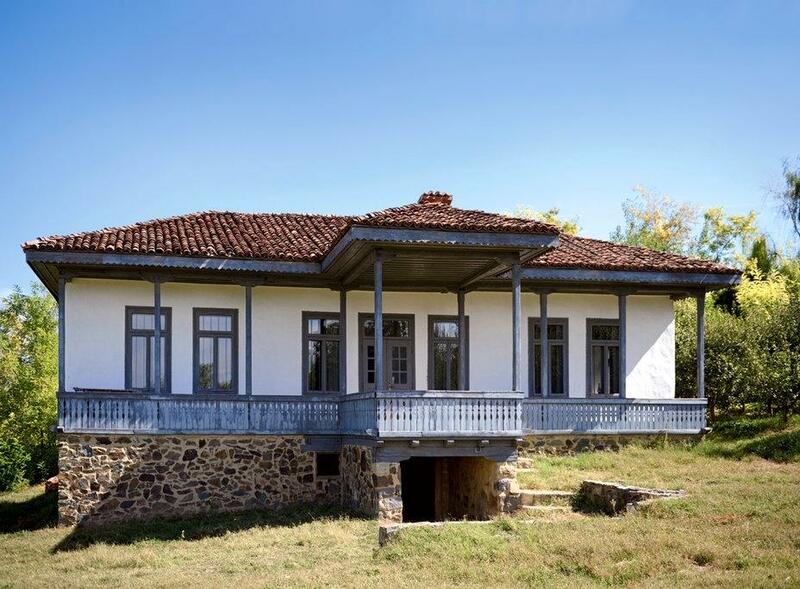 The memorial house, located in Rosia Montana, has a traditional rock foundation and front porch. 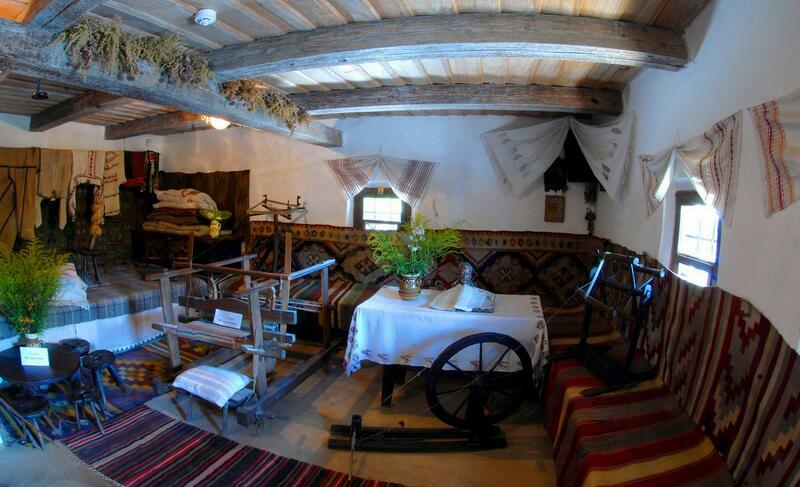 Traditional households consisted of a residential house and additional structures used as storage facilities for cereals, foods, wood and domestic animals. 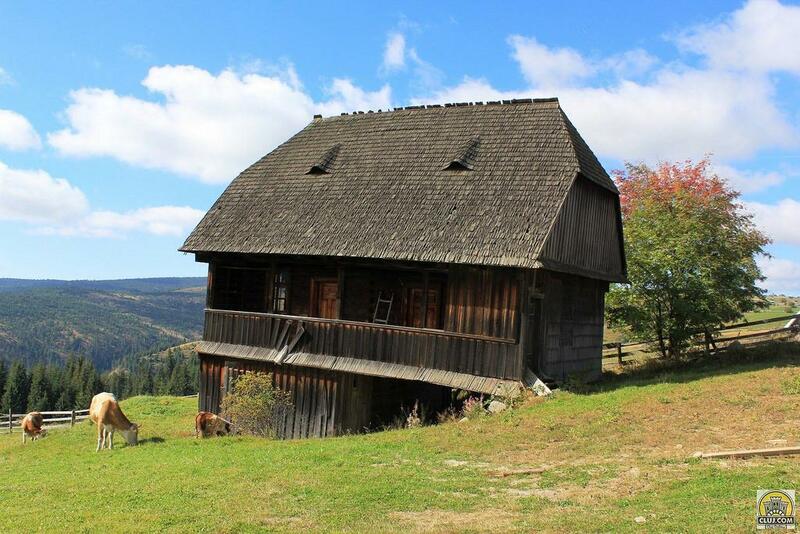 Traditional Romanian house in the mountains of Transylvania. 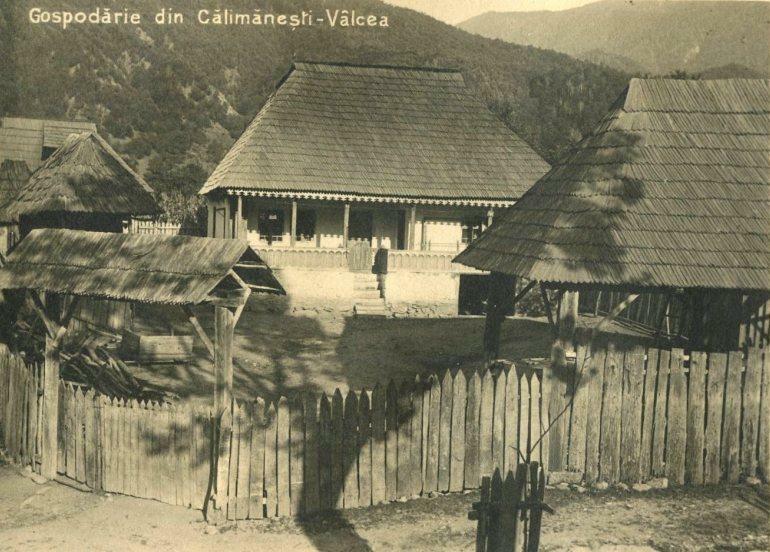 Colonizers of Transylvania established cities in the lowlands, while Romanians (called Vlachs at the time) maintained settlements higher in the mountains according to their pastoral life. 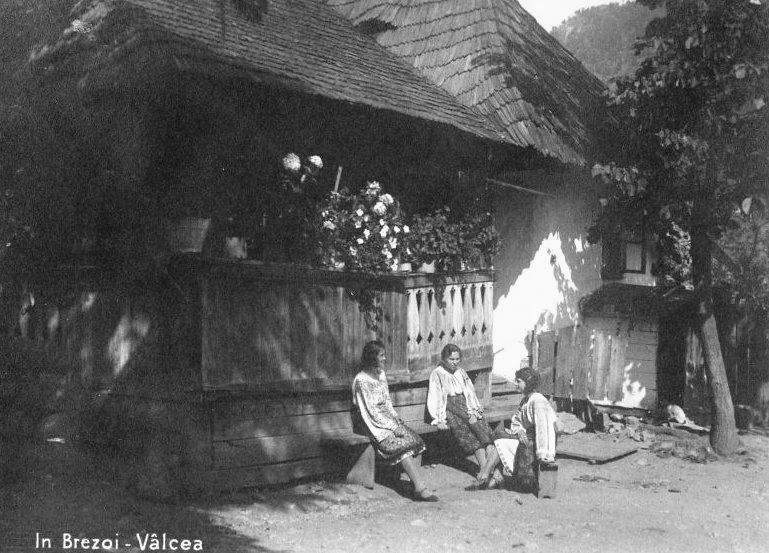 The mountains also provided shelter from the waves of invaders. 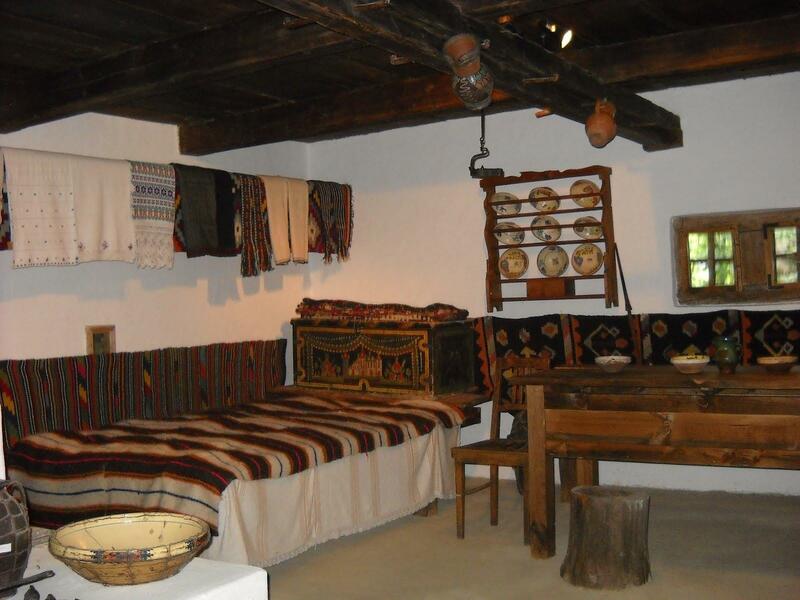 The various motifs found in architecture, clothing, pottery, dance etc were not simple decorations but they stem from pre-Christian beliefs transmitted from distant ancestors. 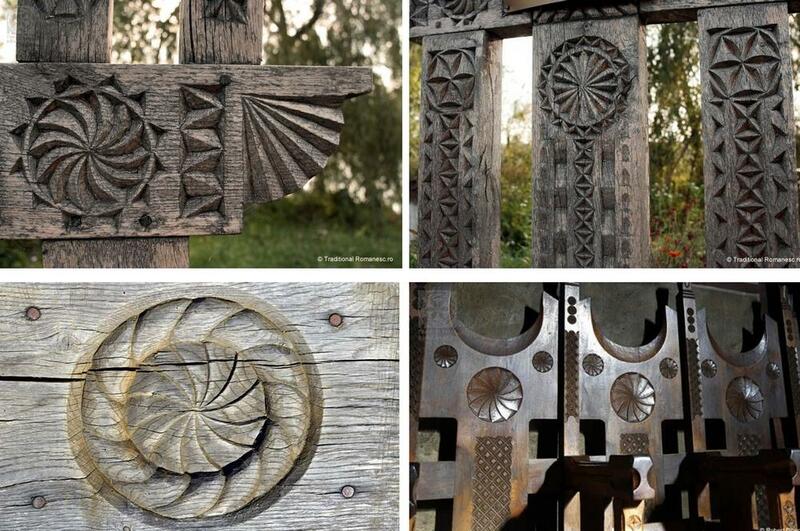 Many Pagan symbols are universal, being found around the world before Christianity, Islam and other religions replaced the system of beliefs. 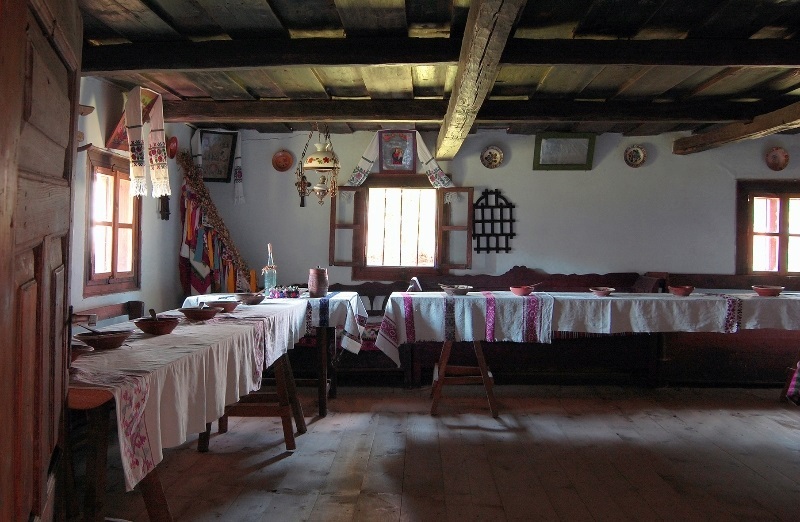 The most prevalent is the solar motif, which is omnipresent in Romanian folk art. 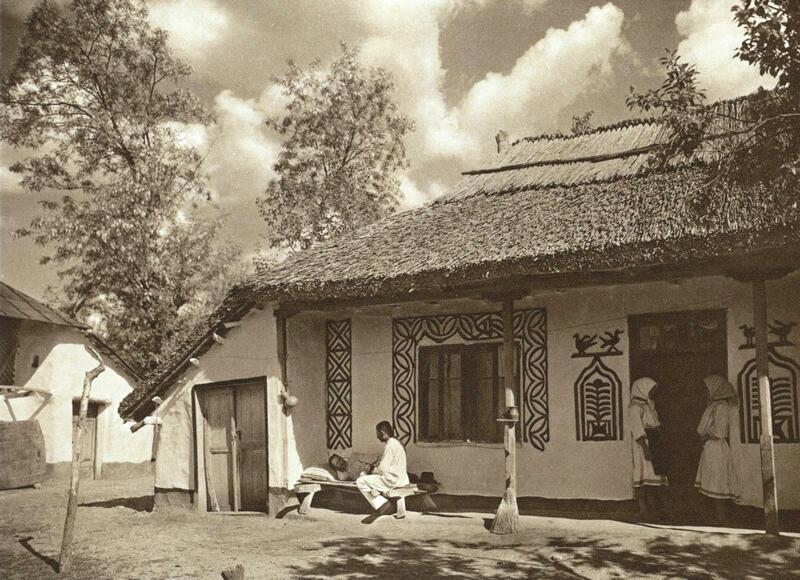 The sun circle was a symbol of life, fertility and it was believed to attract positive energy. 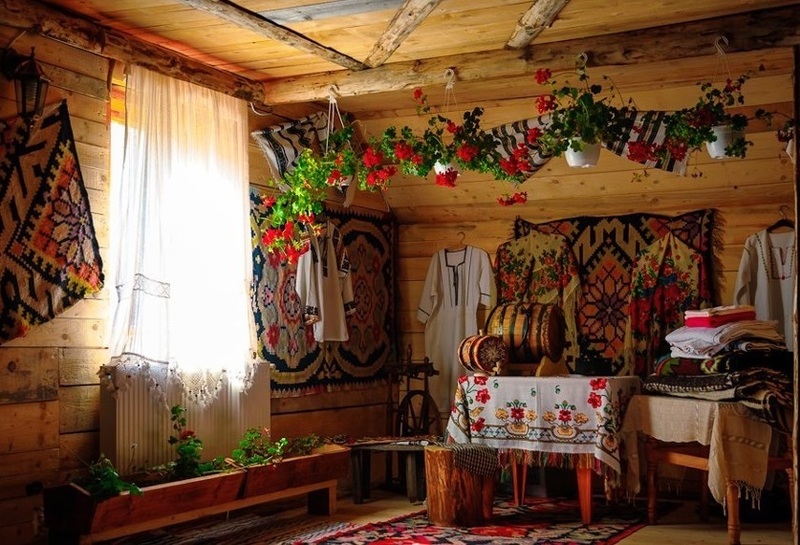 The Pagan beliefs were directly connected to nature, which also implied respect for the surrounding natural environment. 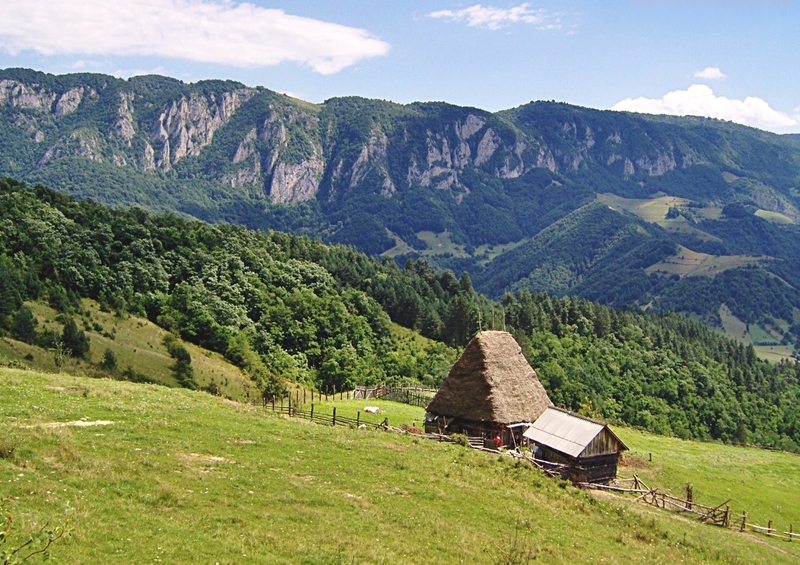 In Romania, Christianity continues to co-exist along Pagan rituals until today. 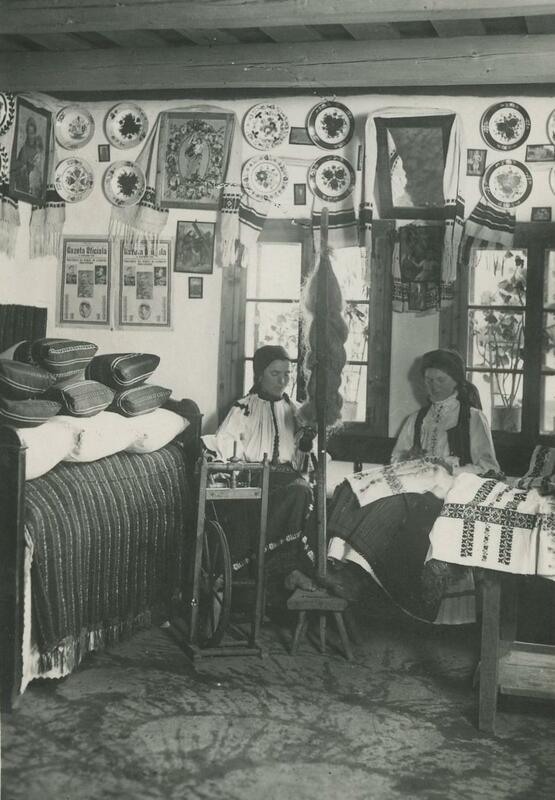 The solar motif was found in almost every item of the household, along with other motifs. 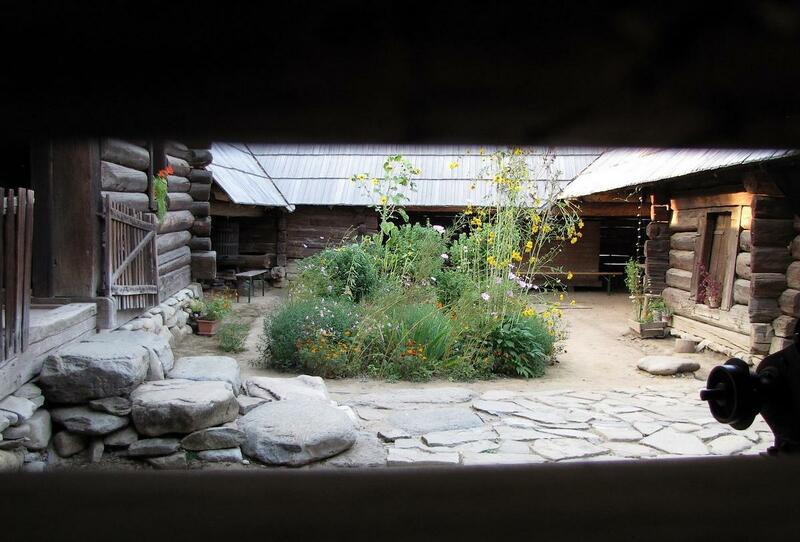 When Christianity developed, a cross was included in the solar circle. 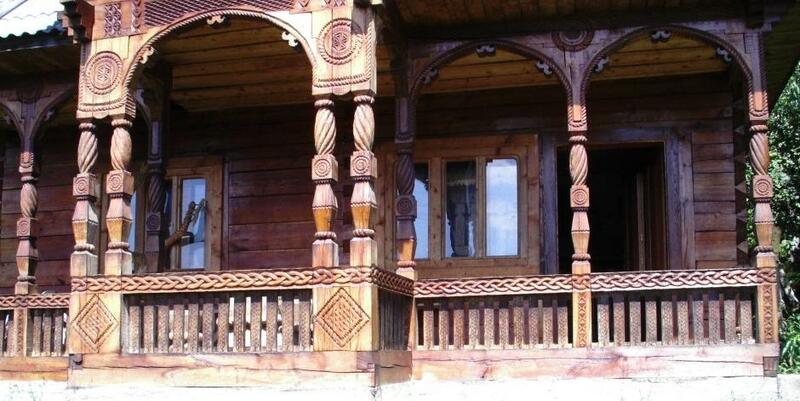 The decorative motifs varied depending on the region. 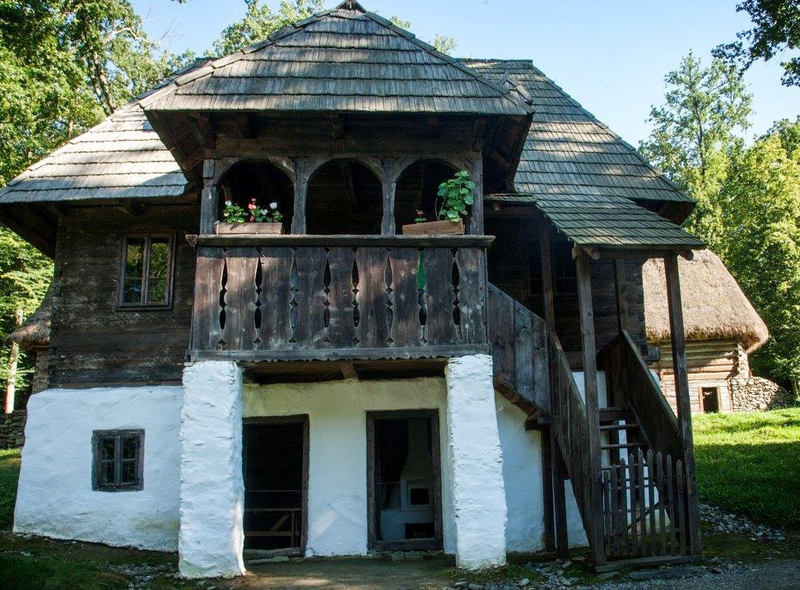 When a house lacked exterior decorations, a branch from a pine tree was instead placed above the door in order to protect the household. 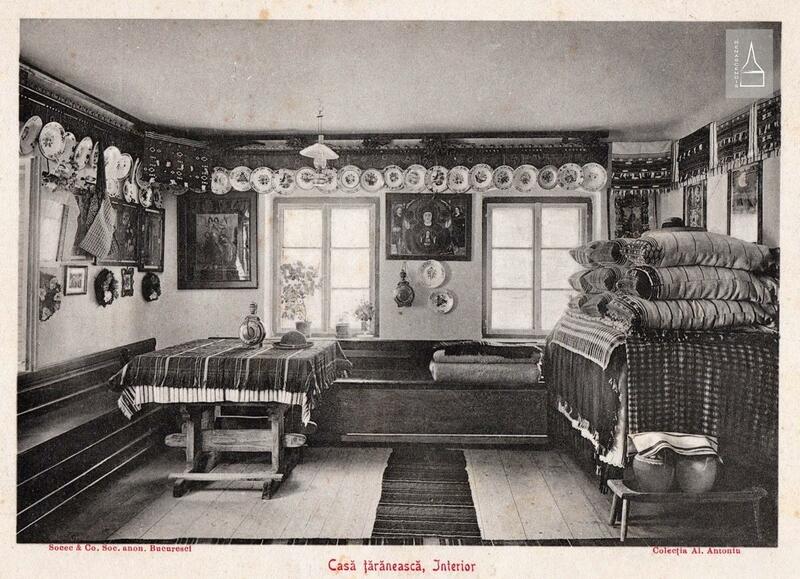 Decorative motifs connected to older writings. 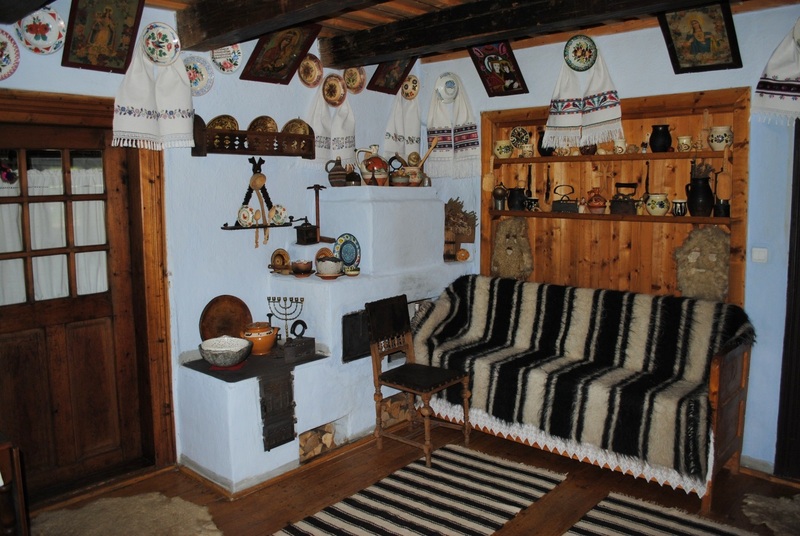 Unbeknownst to many is the fact that the old peasant houses carry astronomical symbols hundreds and thousands of years old. 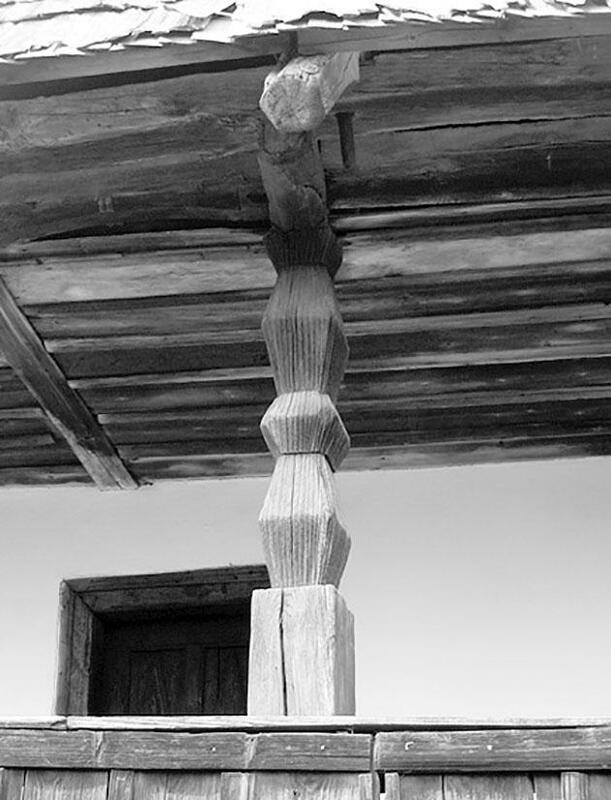 The supporting poles of the pridvor (front porch) iwere often sculpted into the “twisted rope”, the symbol of infinity which is protected the household and connected the earth to the infinite sky. 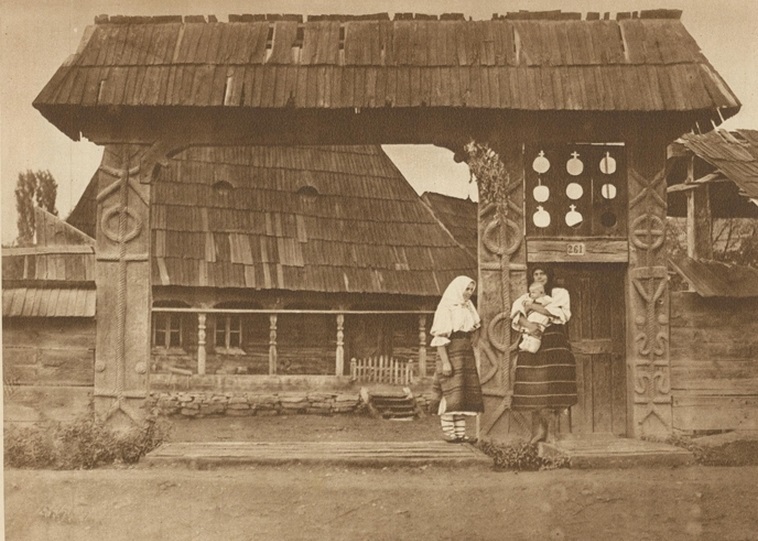 The infinity and the columns of the sky are represented by “twisted rope” motif (funia răsucită sau împletită), which is found pillars of the front porch. 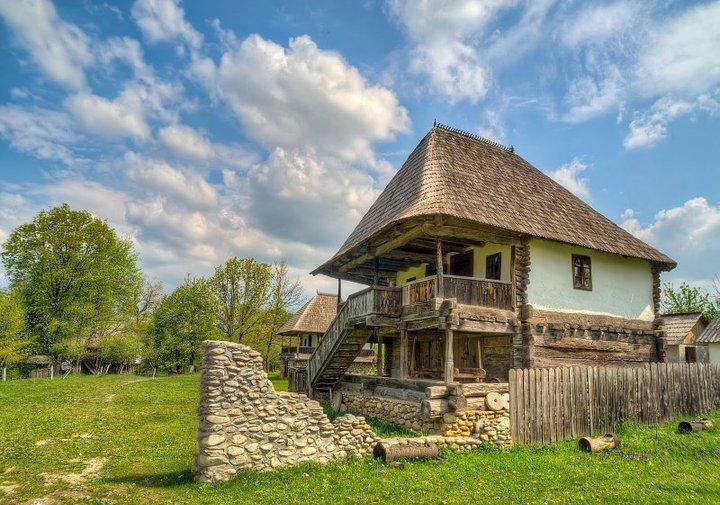 This was believed to protect the house and connect the earth to the infinite sky. 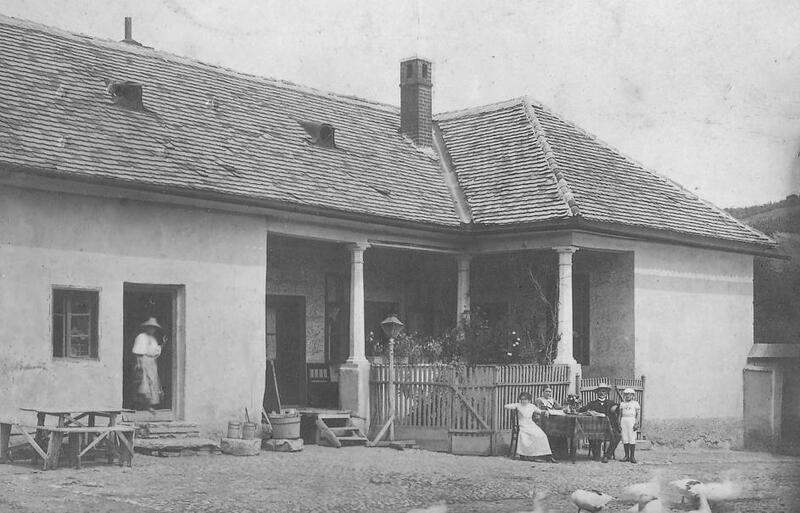 The facade of most houses was not orientated towards the street, but towards the inner garden which was an intrinsic part of the household. 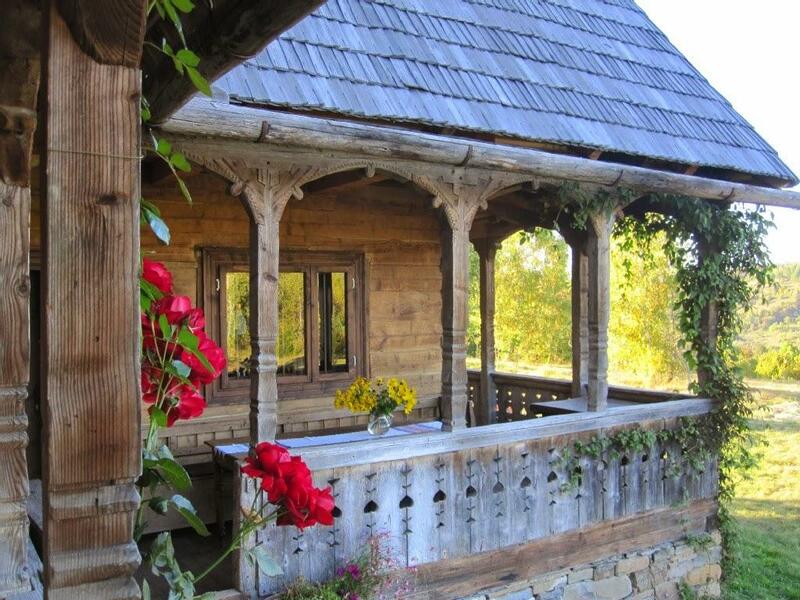 The house and garden are considered the sacred place where the family lives its life and everything is in harmony – the family, the animals, the plants. 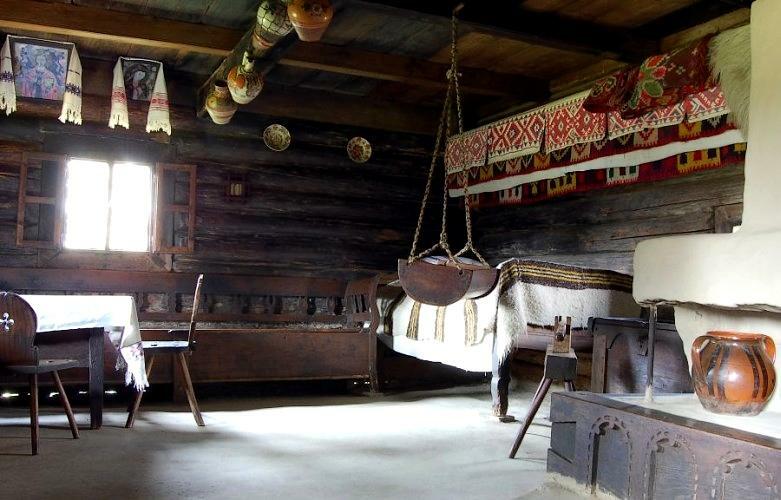 The house was also important because it was the sacred place where traditions were taught and passed along. 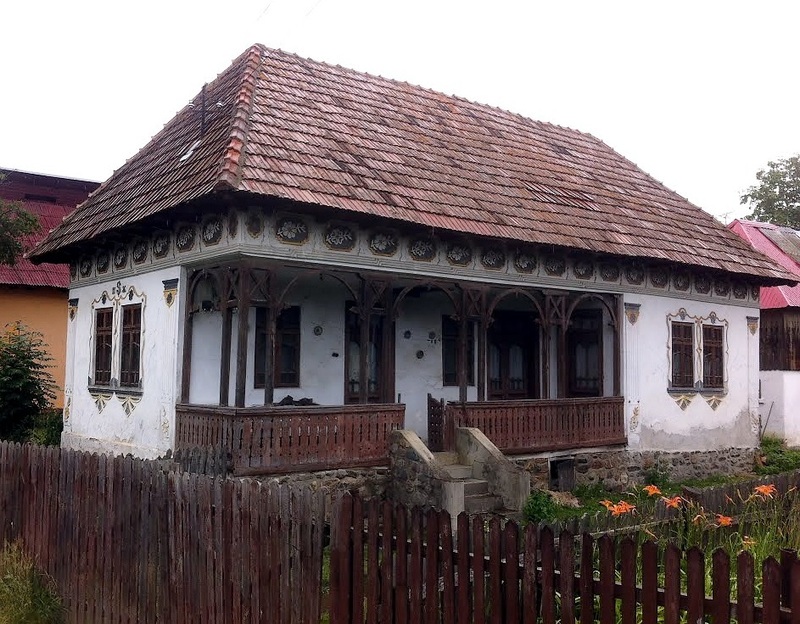 The horse motif – the horse represented majestic beauty and its directly connected to the sun – in popular beliefs the life-giving sun was traveling across the sky in a chariot drawn by white horses; the “twisted rope” motif (funia răsucită sau împletită) which signifies infinity and the connection between earth and sky (this inspired the Infinity Column of Brancusi) and many other nature motifs (trees, birds) that show man’s connection with nature. 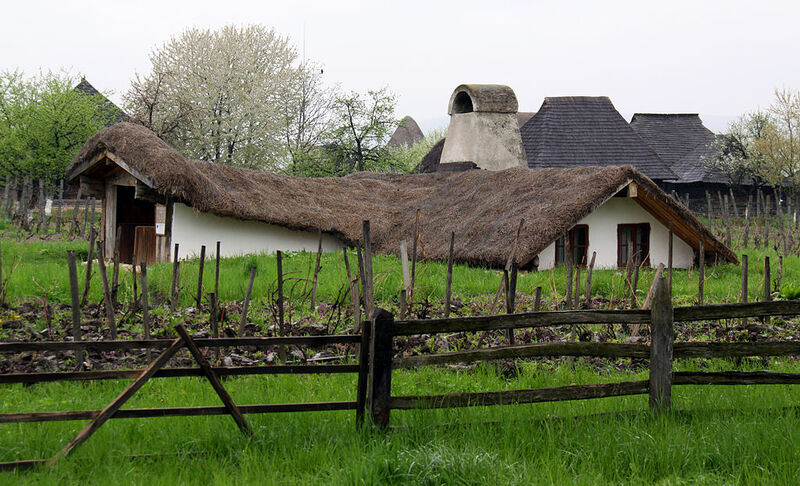 The peasant did not consider his household and land a private property where he had absolute rights, but instead considered it a good of the community offered by God in order to care for it and to help perpetuate life. 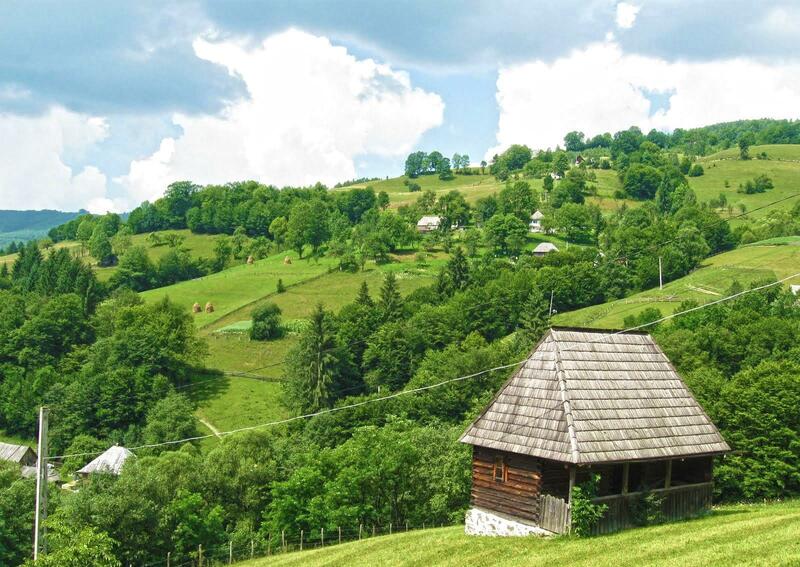 The land was a gift from ancestors which he transmitted to descendants to ensure the endurance of the family, of the community and of life in general. 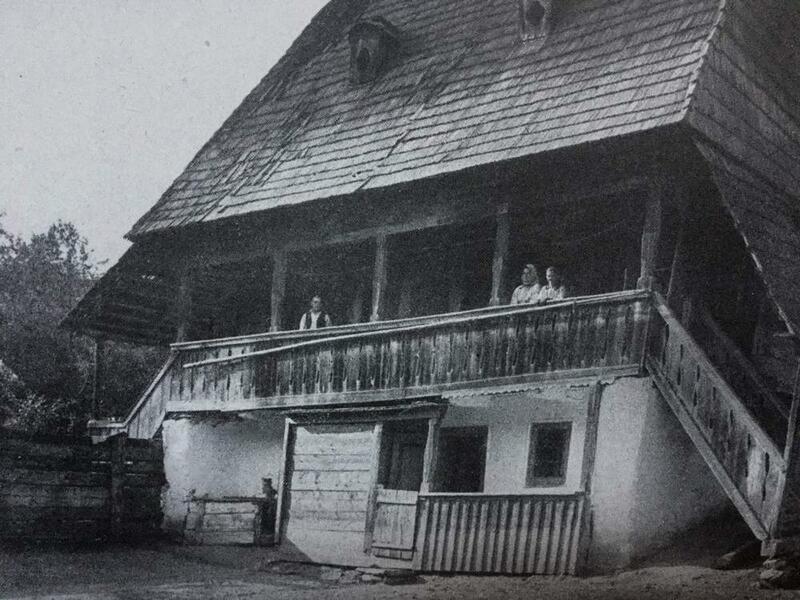 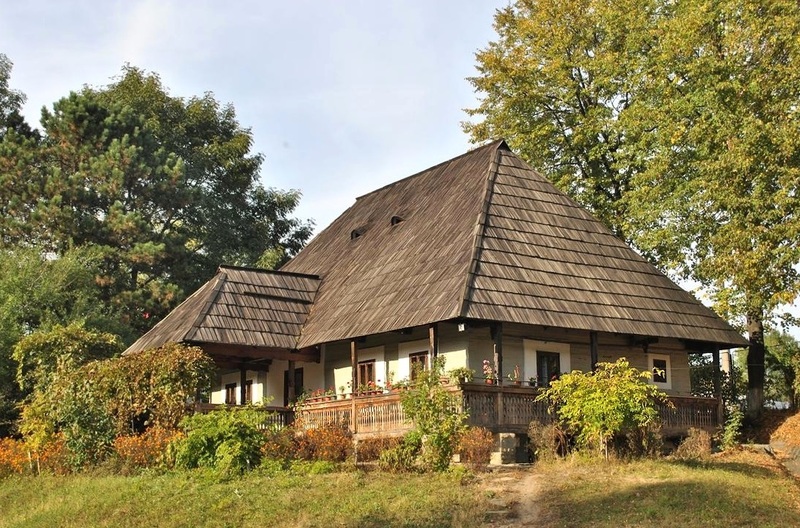 Up until the forced industrialization of the 1960’s, traditional houses were built with specific materials, native to the region – like the Istrita rock (Piatra de Istrita) used in Buzau county. 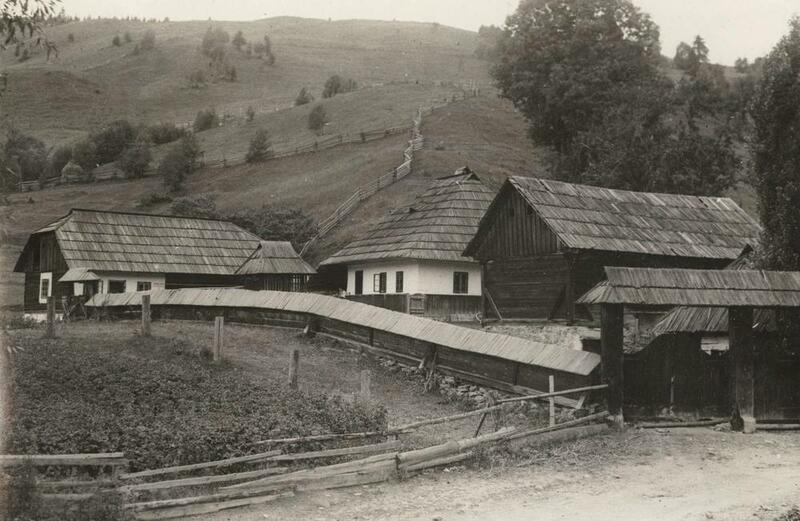 Starting with industrialization, peasants were forced to replace traditional building materials with the cheaper and widely used cement. 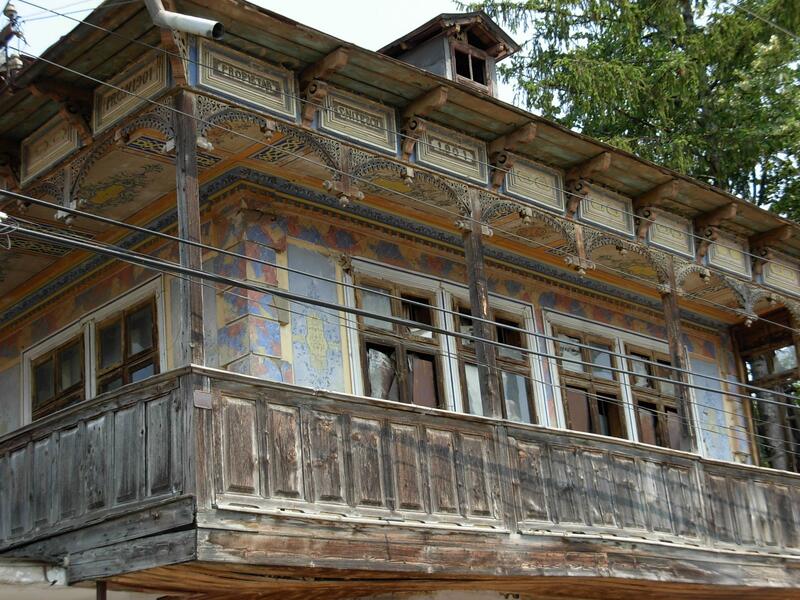 From now onward, many symbolic paintings disappeared and are still disappearing from the exterior walls, being painted over or covered with another layer of cement. 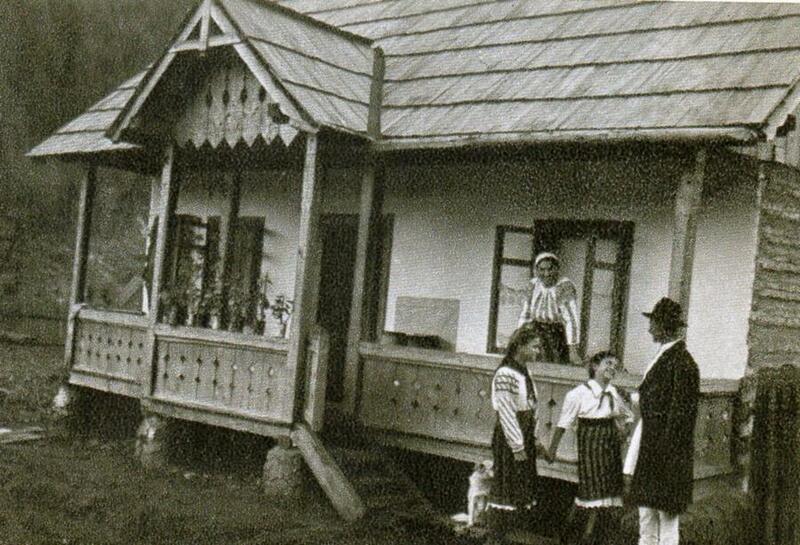 1920’s peasant house in Romania. 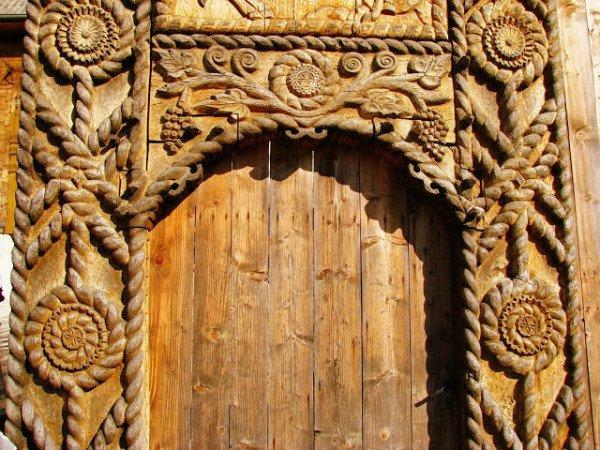 The ancient “tree of life” motif (pomul vietii) painted near the door – a sacred symbol found across the ancient world and still present in Romanian art folk. 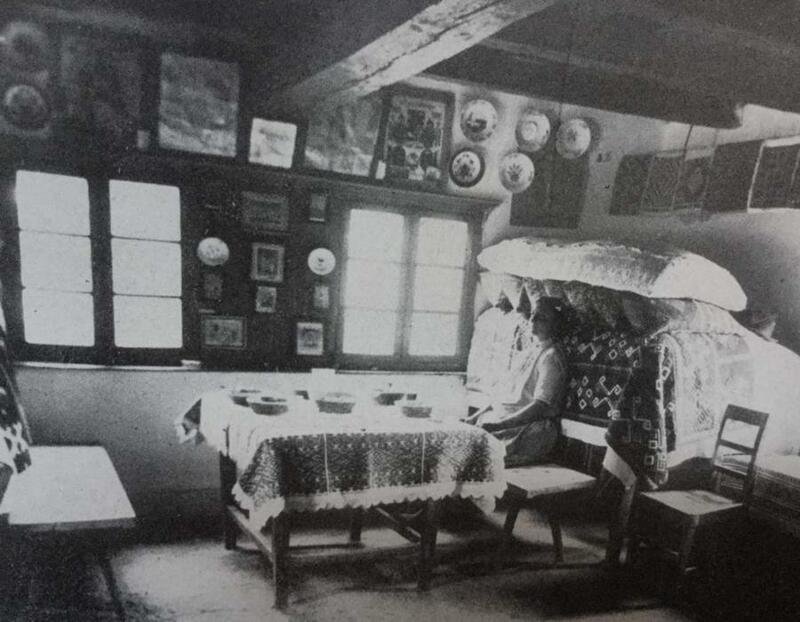 After forced industrialization, many symbolic paintings disappeared and are still disappearing from the exterior walls, being painted over or covered with another layer of cement. 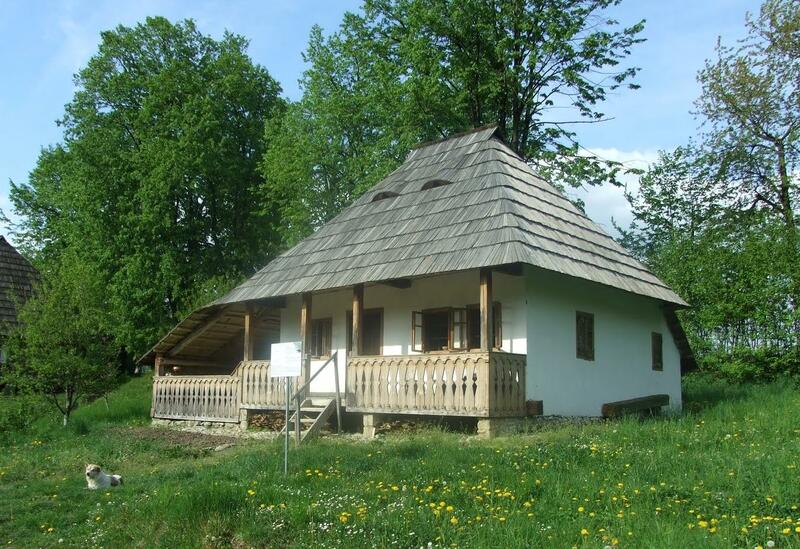 Dugout house (bordei) – built mostly in flat regions, they are efficient as they protect from heat and cold. 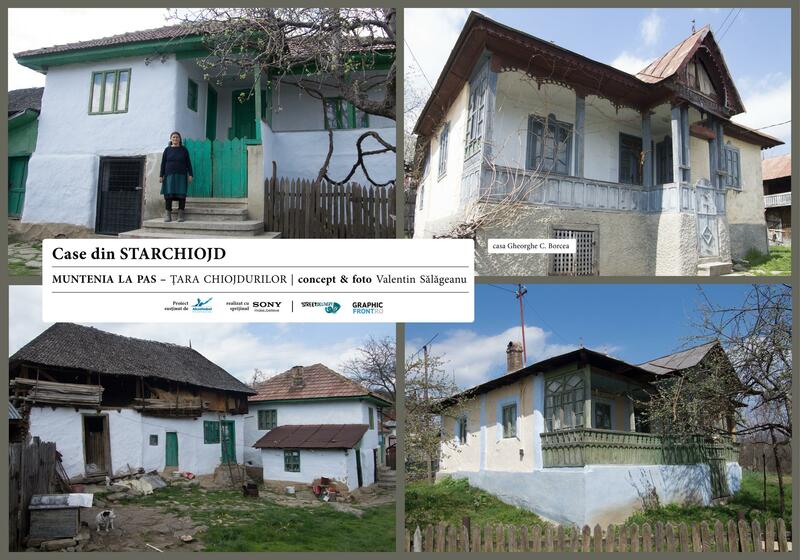 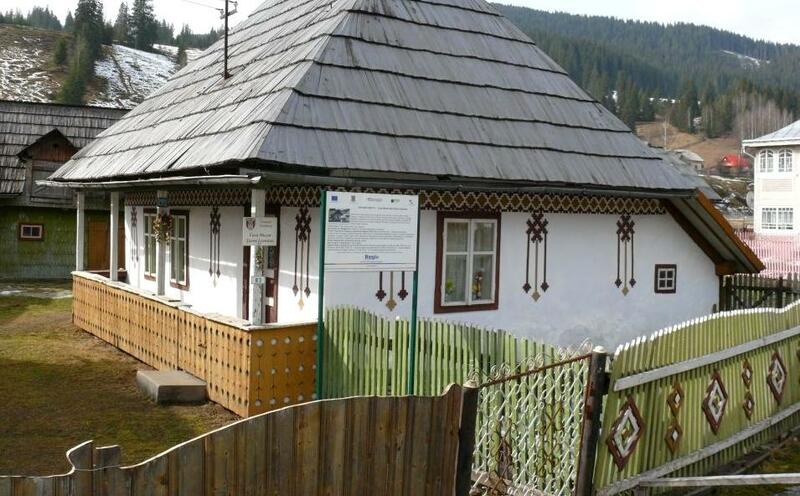 Following a joint project with the Astra Village Museum from Sibiu, the real estate business saw an opportunity to expand and promote business through the idea of building traditional houses for cheap prices with imported materials. 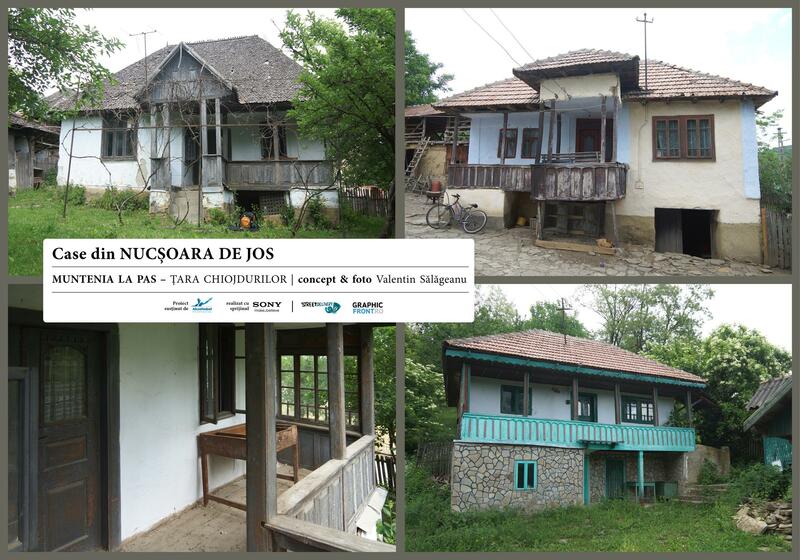 While the real estate business profits from building poor imitations of traditional houses in the idea that they are “passing on the tradition”, many of the original houses with historical value are abandoned and left to deteriorate. 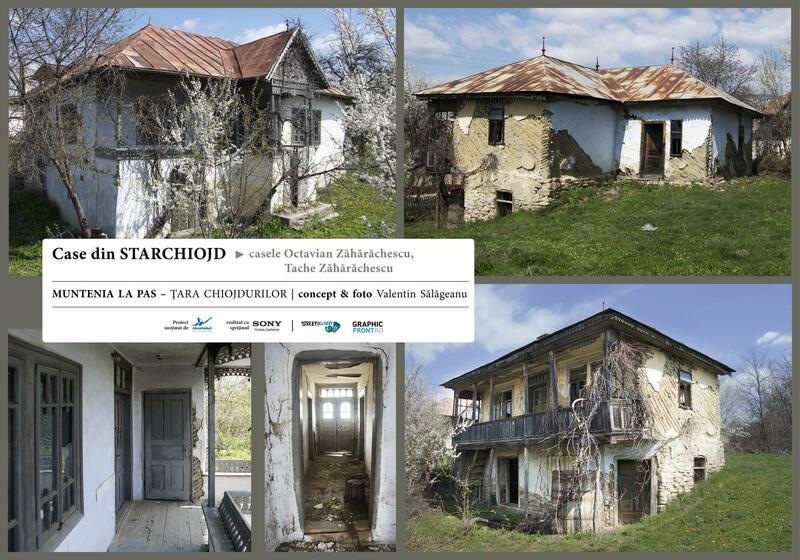 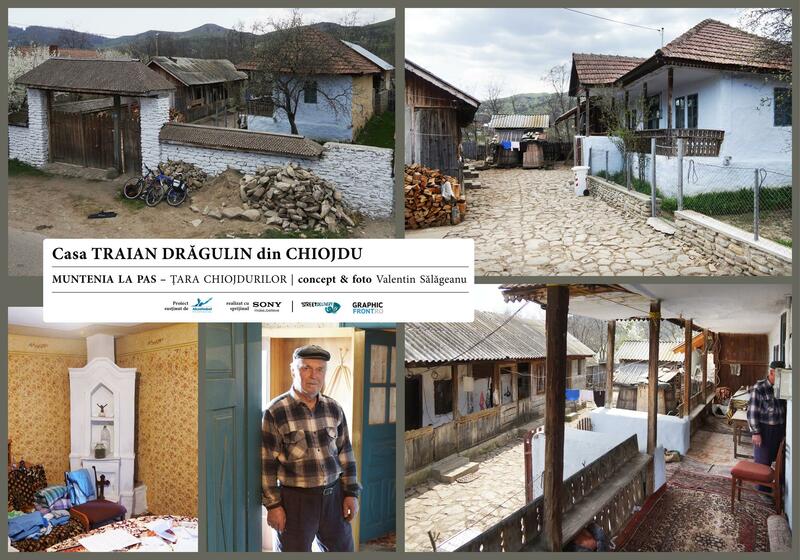 To understand the dynamics of rural communities and their evolution throughout history, go here The Romanian village. 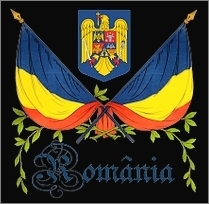 Also the Romanian peasants are using the “rhombus” symbol. 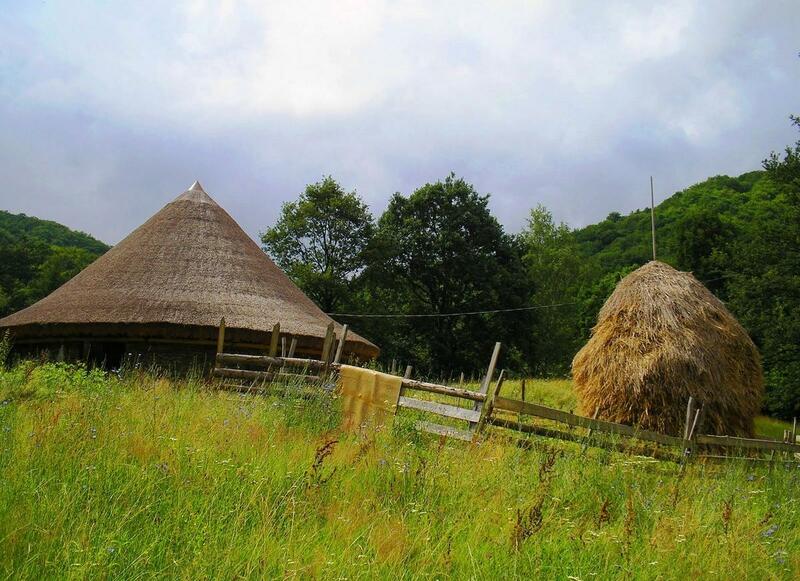 This symbol is found on very old potteries (5000 years old). 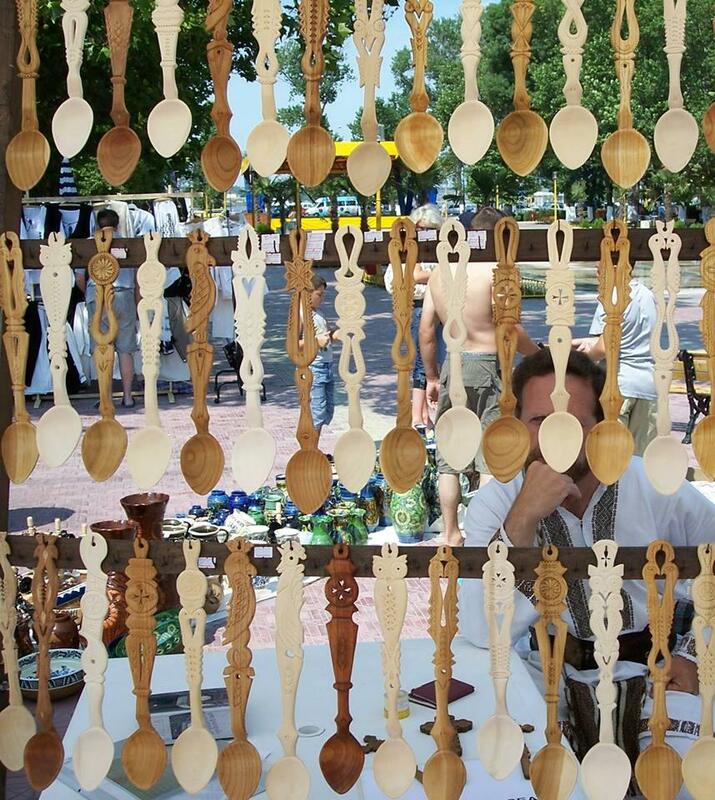 Other symbols they use are: the twisted rope, the sun, the moon, the tree of life. 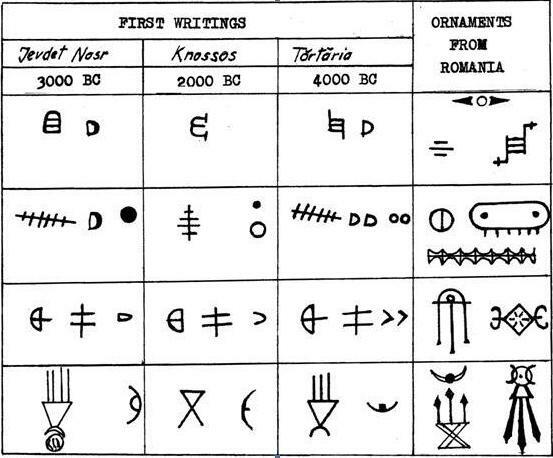 Correct, and there’s a lot more to say about symbols but that needs its own separate topic/blog post. 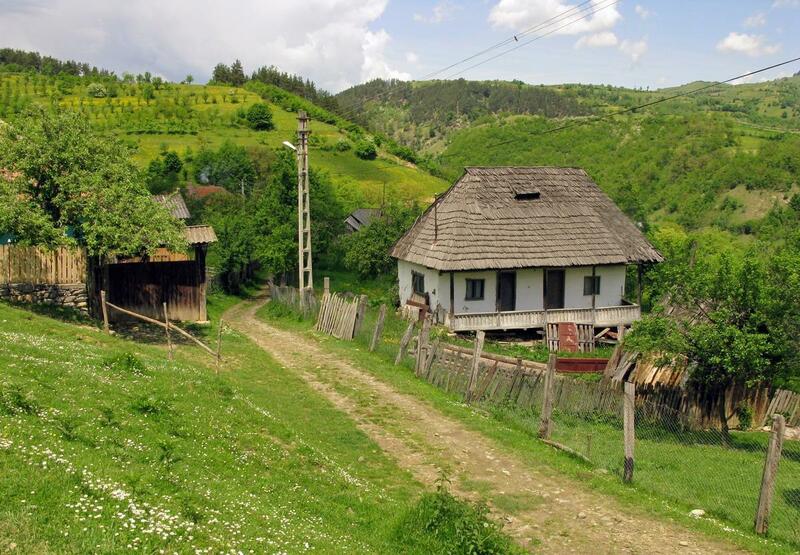 In the future I will write about it.